With a 30-year track record, Remkaflex is well established as a specialist in the distribution and manufacturing of mechanical operation cables and hydraulic brake and clutch hoses. 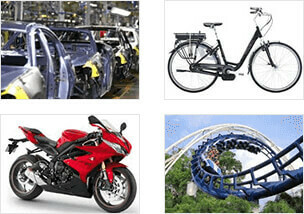 Remkaflex offers an extensive programme in the automotive field. We also have a strong presence in other sectors like the agricultural industry and mechanical engineering. 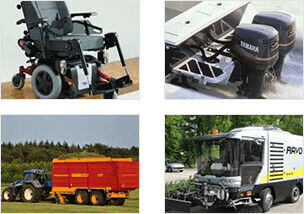 Boasting years of experience, Remkaflex has clients in the Netherlands, the Benelux and far beyond. Remkaflex doesn’t only have a strong profile in supplying bulk products, it is also a powerhouse in custom-made solutions. Custom-made products are produced within 24 hours based on a detailed drawing, number plate of the vehicle, brand/type/year of the vehicle or an original part. This makes Remkaflex a unique player in the international market. We are not just a partner for busy car repair companies, but also for wholesale companies, old timer associations and a variety of industries. We have over 4000 kinds of spare parts in stock which enables us to produce custom-made products within 24 hours. All we need is a detailed drawing, number plate of the vehicle, brand/type/year of the vehicle or an original spare part.